Bridal shower games are bridal shower activities that bring the guests together. As such, when thinking of things to do at a bridal shower, consider playing some bridal party games. 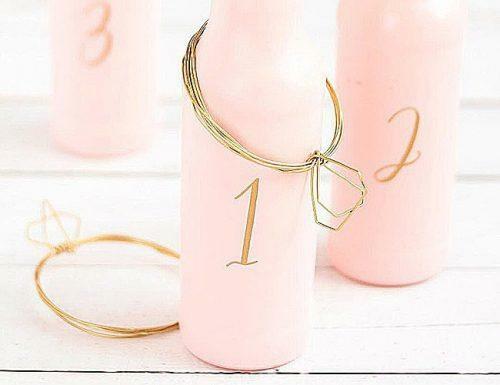 There are so many fun bridal shower games that will make any bridal shower awesome. But the best of them are the interactive bridal shower games that include every guest present. This article aims to help the bridal shower planners understand the rudiments of planning an unforgettable bridal shower party. Showers for a bridal wedding that will include games that are icebreakers, which will leave all guests excited and end up as friends. However, some brides do not fancy the idea of having bridal shower games at their party. They either do not like it or won’t give ample time for the shower. This article also contains bridal shower games alternatives that will bring on the fun even in the absence of games. The bridal shower games are for real the icebreakers, causing everyone to come together as a team to win. In all these, it is important to remember that the bride is the center of the party. She makes the final decision for games played. Every game played also has to revolve around her. Team games are the best for bridal showers to avoid anyone feeling left out. How Many Games Should Be Played At a Bridal Shower? 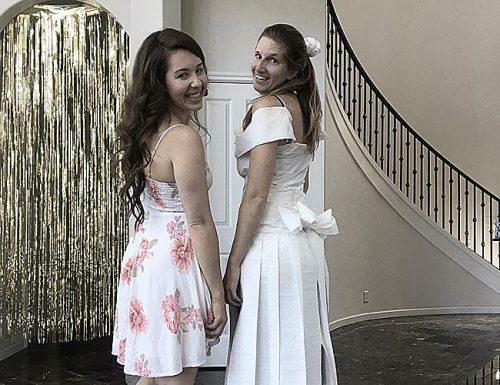 What To Do At a Bridal Shower Besides Games? What can I bring to a bridal shower? What are some bridal shower game prize ideas? A bridal shower should last for a maximum of 3 hours and in this time, the bride needs to open her gifts and everyone needs to socialize. The maximum number of games for a bridal shower should be three to four. This falls within 15-20 minutes. There are bridal shower alternatives like writing down and saving in a jar favorite memories of you by the guests. How about watching a favorite show while you binge on some great food and wine? Raffle draws and prize giving? These are fun ways to have the best time even without games. Also, guests can bring and present gifts to the future bride. Miss To Mrs subscription box is a great gift because it was specifically created for brides-to-be! It is tailored to match a bride’s wedding planning journey, to receive monthly gifts while helping prepare for the big day! Now, knowing the number of games right for the shower, check a list of the best easy bridal shower games for you to choose from. This could sail as one of the best bridal shower games ever. This involves the couple and guests, it’s an all-inclusive fun game. The planner will ask the celebrating couple a number of choice questions about themselves ahead of the bridal party. The couple will give answers and from these answers, the planner will create quotes, obscuring leads to who said what. These quotes will be scrambled and filled in on game cards which are shared with guests. The guests will state on each quote which of the couple said what. The guest with the highest number of correct matches wins a prize. He said she said bridal shower game is quick, easy and fun. What to prep: Game cards and markers/pens. Thinking of bridesmaid games for your bridal party? Have a ring game bridal shower for a change. This is an outdoor competitive game that all bridesmaids and guests alike can play together. Get a couple of bottles, could be empty wine bottles and some rings. Copper, silver, gold or aluminum metals will serve. The catch is that these metals should be lightweight but can roll nicely. Split yourselves into opposing sides or single opponents and throw rings onto the bottles. To get it right, the rings should fall around the bottleneck. The side or person whose bottle (s) catches the most rings wins. What to prep: Wine bottles and metal twines or rings. For easy bridal shower games, this ranks top. Get a bulk of game cards that feature movie quotes. Share them to all guests present and ask them to fill out what movie a quote was viva voce. The guests with the highest number of correctly matched movie quotes win. The best way to keep the tension up and everyone excited is to feature quotes from old movies/blasts from the past. 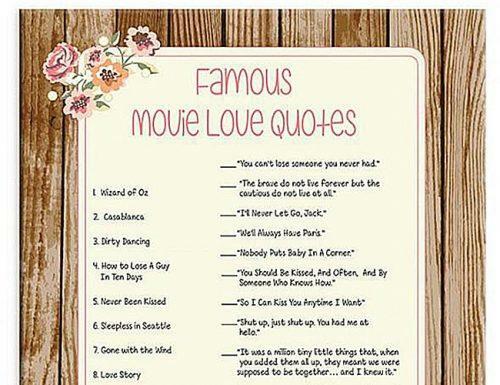 Feature movies they watched a long time ago and let’s see what quotes stuck. It is fun as guests get to rack their brains what movies they saw what. They also reminisce on the beautiful movie. What to prep: Game cards containing movie quotes. Bridal shower games can’t get more hilarious than toilet paper design. The bride is the judge on this game. Divide the guests present into four or five groups, depending on how much they are. The bride picks a mode or not bride for each team. The model may also volunteer for the team. Each team is also supplied with the same texture of toilet paper and masking tapes. A timer is set to regulate the game and once the bride says go, each team begins to create a gown on their model, using the tissue paper and masking tape. At the stop sound, everyone stops and the models move to the front to show off their gowns. The bride makes the decision and the most beautiful, creative or durable gown gets a price. This is one of the most hilarious bridal shower games ever. What to prep: Loads of tissue paper and masking tapes. This pictorial game stands out as one of the best fun bridal shower games. 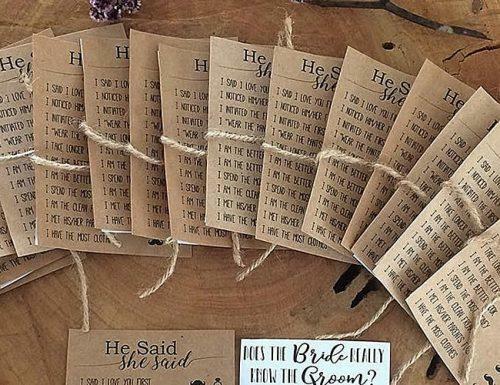 Split the guests into two groups, each with a board, marker, jar filled with quotes and slips of drawing paper. Each group takes a turn to pick a paper with a quote from the jar. The quotes include stuff like “grand entrance into the church”, “couple dance”, “bride throwing the bouquet”, “groom unveiling the bride” etc. A person from the team will sketch the quote on the board and the opposite team will guess what the sketch is. The team with the most correct answers of sketches win. What to prep: Markers, jar, slips of paper and a board with easel. How to play: This is one of the bridesmaid games that is fast, easy, fun and suits any bridal shower theme. Get each of the bridesmaids to take pictures with the bride. Print out these pictures and fix them into a photo book. 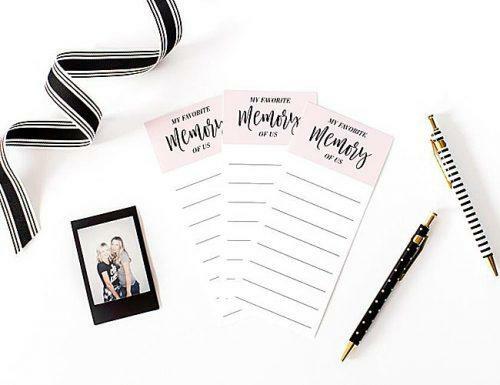 Get each of these bridesmaids to write their best or favorite memories they have of or with the bride. Ask them to also include one or two pieces of advice for the bride as they know her best. Fix these memories and pieces of advice close to each picture in the photo book. To carry everyone along, ask the guests to the photo booth to take pictures with the bride too. Tell them to write down their favorite memories of the bride and pieces of advice. Add them to the album, present it to the bride. What to prep: photo booth, markers, cards, photo album. How to play: If you have no idea of any office bridal shower games, the bridal shower question game is a great one. This is a fun and interesting trivia game. The quest to see who knows the bride the most is here. All the guests will get one card each, filled with questions about the bride. The questions may include her best color, the schools she attended, her best food, what she loves the most, her height, the color of her eyes, her middle name and more. Each guest will fill in the answer to each question while the bride will fill in correct answers on her own card. 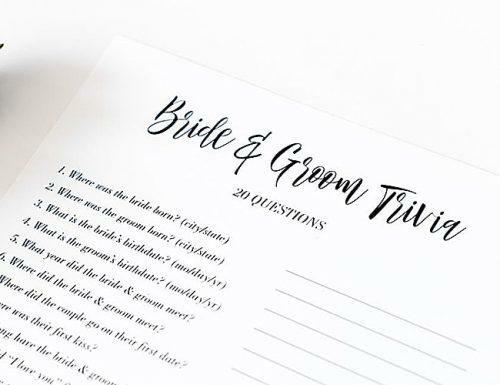 At the end of the game, the host will match the bride’s answers to that of each guest and the person with the most correct answers wins. What to prep: Questionnaire/trivia cards, markers/pens. How to play: A beautiful game focused on the bride is the lingerie bridal shower games. Get each guest through the party invite to come along with a lingerie gift. Note that each gift must match the personality of the guest bearing it. Take the bride out of the room and hand the lingerie around it. Scramble the lingerie so that the bride does not guess even that of her best friend. Bring the bride back into the room and tell her to match each lingerie to the right guest. Have the guests call “it’s mine” at anyone she touches, to confuse her a bit. Let the bride match as many lingerie as possible to the right guest. The highlight is that the bride gets to go home with all the lingerie used for the game. Imagine a wardrobe filled with varieties of sophisticated lingerie. Our bride is honeymoon set, ready to wow Mr. Groom. What to prep: Different kinds of sophisticated lingerie. How to play: Fill a bag with possible choice items of the bride. These will include items the bride cannot do without and is likely to always carry around. These items may also be things that the bride will likely take along for her honeymoon. Bring out all the items one by one and have the guests look at and memorize them. Set a time and give each guest an answer card and pencils. Shout start, and have them write every content of the bag they can remember. Shout pens up, in five or ten minutes. The guest with the most correct number of items wins. This is a fun game for everyone present. The rush in trying to remember the bag contents and putting them down is a sight to behold. Share candies or key rings to winners. What to prep: cards, pencils, random items. How to play: Tea bridal showers are traditional and are often times intimate. Tea Party bridal shower games are decent and simple. Some may wonder what kind of games to play at a tea bridal shower party. The mad libs game is one way to have fun while at tea. Get the host to write a story with blanks in the sentences, the couple’s love story for more effect. Give the cards to the guests and ask them to fill in the blanks with words that they think match each sentence best. After this, the host will read the story aloud and watch everyone dissolve into fits of laughter. The outcomes are often hilarious because the story most times end up meaningless. 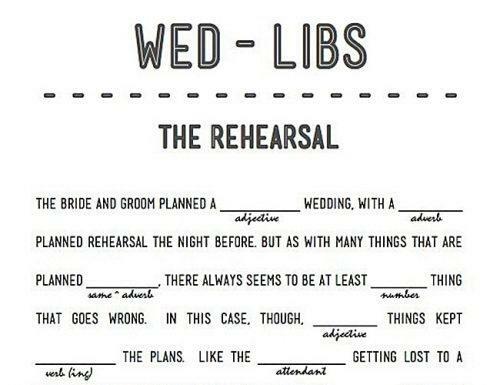 What to prep: Mad libs printable cards and pens. How to play: Having a work bridal shower or having a brunch affair? 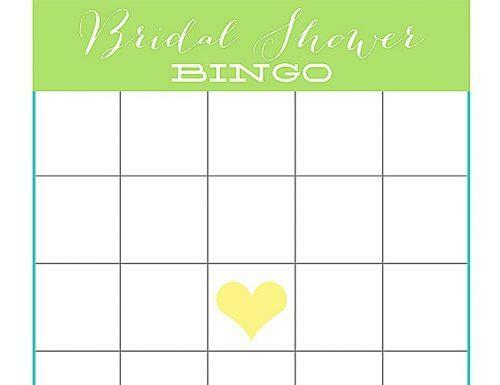 The bridal shower bingo game is one of the ideal office bridal shower games and bridal brunch games. They do not require many items or leaving the place messy. Get a game card made of square boxes with a heart at the center and ask the guests to fill in each box, a gift item the bride will likely get. Once they are through, the bride will start opening her gifts. The guests will mark off on their cards all correct items gifted to the bride. Once they are through, the guests will get heart stickers to match all items marked. The first sticker goes to the empty center and continues to all correct answers. The first guest whose right answers fall in consecutive rows around the center heart wins. What to prep: cards with box patterns, markers, heart stickers. How to play: This is a creative and hilarious DIY bridal shower game that includes everyone as a participant. This is a game to see who creates the dress or something close to the dress the bride will wear for her wedding. Arm each guest with a drawing paper, some glue, pencils, markers, glitters, stones and tapes for creativity. Give them 10 minutes to get to work. 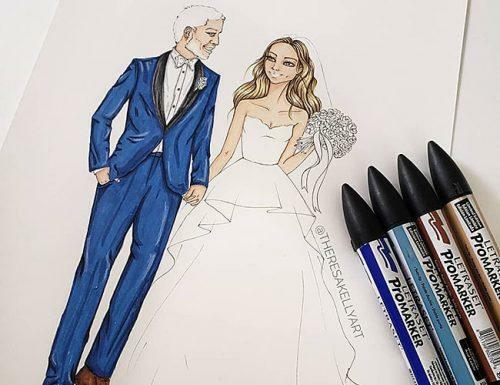 Once the ten minutes lapses, ask them to stop and submit all drawings to the bride. The bride as the judge will grade and pick the dress which looks close to what she will wear as the winner. Look out for funny and weird drawings. Small gifts for the winner and consolation prizes for runner-ups are encouraged. What to prep: drawing paper, some glue, pencils, markers, glitters, stones and tapes. How to play: Couple bridal shower games couldn’t get better than the doubles Jenga game. It is fun and considers teamwork. It also helps you put on your thinking cap to remove the correct blocks. This game is a challenge for couples. Get all guests at the party to join in pairs, the best pair is a guy and a lady. Each couple will take turns to move a block from the lower tower level of the arranged tower and place them at the top of the tower. 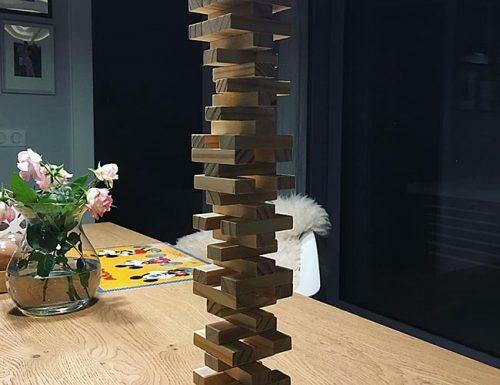 This act will make the tower taller as the game goes on. Any couple at whose turn the tower falls loses out. The tower is rebuilt and the game continues with the winning couples. This goes on until we get the last couple standing. What to prep: wooden blocks, a board/ flat surface, score card. 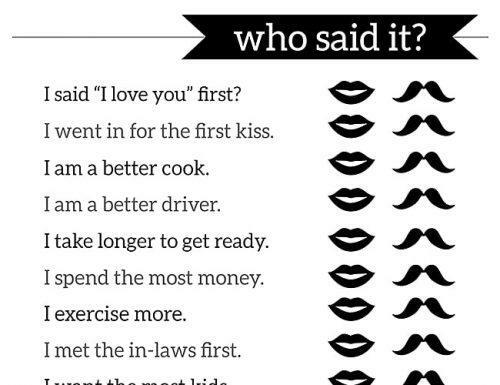 How to play: Who said it bridal shower game is another game centered on how much the guests know the bride. It also exposes how long each guest has known the bride for. The host will get the couple to tell their love story, each speaking from their own point of view. The host will pick catchy phrases from what the couple said and print them out on game cards. Note that these phrases will be flat out scrambled and all pointers to the authors removed. Share the cards to guests and get them to mark the phrases that the guest of honor/bride made. The guest with the most correct marked phrases win. This is one of the most interactive bridal shower games. It leaves no one out. What to prep: game cards and markers. How to play: For household shower games, you need no penny to pull them off with this game of love songs. This is a fun game that requires only your disc player, some pens and paper and excited guests. Make a moderate list of the bride’s favorite love songs or some oldies. Do this right before the shower starts. 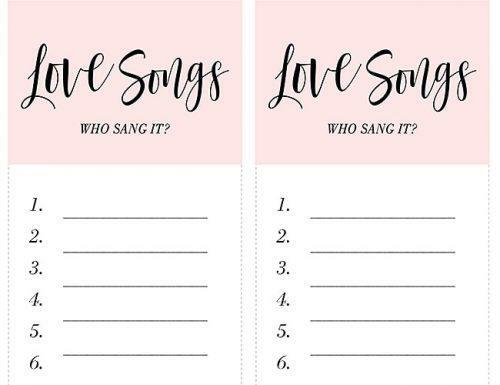 Give all the guests each a piece of paper and a pen, then the host will play a line of a love song and each guest will write down the name of the singer. This should take all of ten minutes and whoever gets the most correct wins. You can also do without the pens and paper by asking the guests to call the singer out as the line plays. The first to call wins that round. Bridal shower games are a great way to cut the ice amongst strangers at bridal showers and have fun. Simply attend bearing your gifts and prepare to have the time of your life and go home with prizes. This brings us to some questions which may be nagging at guests, brides and hosts alike. Questions such as the ones below. We believe that the bridal shower invitations should pass a message about the tone of the bridal shower. It should also give the guest an idea of the kind of crowd attending. If it’s an all-inclusive bridal shower which will see family members and the aged present, giftwares only. Gifts such as coffee machines, cutlery sets, cookware, monogrammed towels and items she can open to a mixed audience. If the party is an intimate one with only the bridesmaids and really close friends present, then anything can go. Lingerie, make-up box, beauty kit, perfumes and everything girly you can think of is okay. Prizes are rewards for winning games at the bridal shower and will leave the guests happy. Give prizes that are durable and will act as reminders for when they attended your shower. You don’t have to break the bank to get these prizes. You can either DIY for the most or get them at cheap rates in stores. 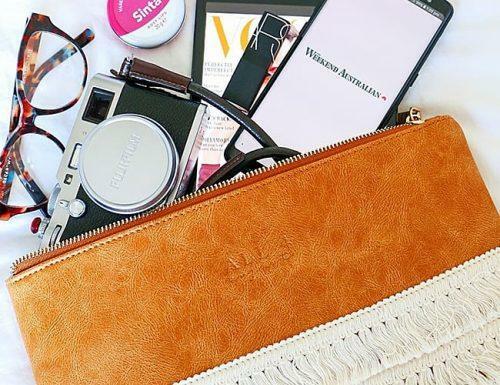 Prizes like bookmarks, monogrammed purses, customized hair bands, and cork stoppers; nail varnishes, cute phone cases, bracelets or pretty combs will sure leave your girls happy.